Welcome to Valdosta RV. We specialize in mobile RV repair, RV storage, recreational vehicle roof repair, maintenance, and transport. Some of the most common problems we see can be prevented with routine maintenance such as checking for leaks around windows, doors, and a complete inspection of the roof on a routine bases. We are available for thorough inspections which can help prevent many issues leading to repairs down the road. If you are already faced with a problem then we offer affordable repair that will get you back on the road doing what you love. Sometimes we're presented with the unexpected, such as that tree that just didn't get out of the way while we were backing our coach into the perfect camping spot. If you are saying that's me right now, then we can help with all types of body repairs resulting from accidents and collision. CLICK HERE TO SEE OUR SELECTION OF PRE-OWNED RV INVENTORY. 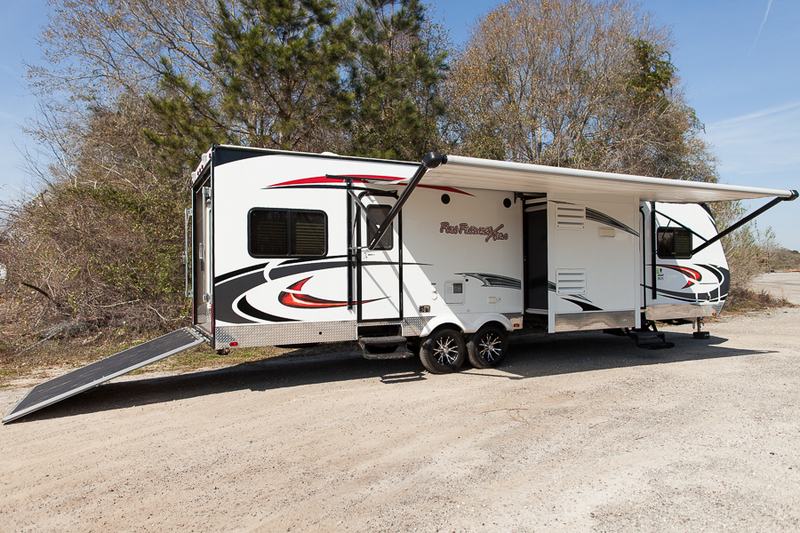 We have outstanding pricing and our RV mechanics personally inspect each RV before it is sold.